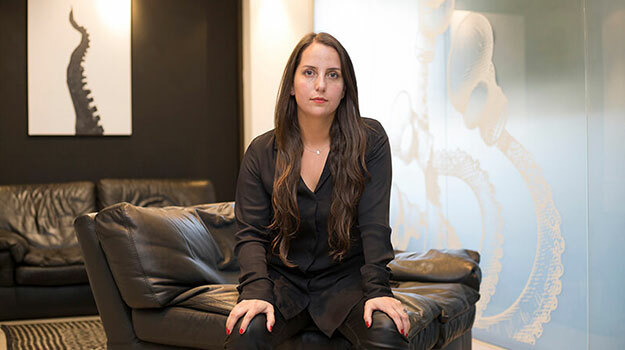 Big congratulations to Carolina Mejía, director of strategic planning for MullenLowe Group Colombia who has been named in AdAge and P&M’s Women To Watch Colombia 2019! Since 2015, in partnership with AdAge, P & M leads the Women to Watch initiative in Colombia. The purpose of this program is to recognize women professionals who, thanks to their contribution and leadership, are a reference for the marketing, advertising and communications sector in the country. Each year, a group of women receives the Women to Watch distinction, an acknowledgment of the role they have played and an indicator that, in some way, indicates who will continue to transform and update the industry. To celebrate the fifth year of Women to Watch in Colombia, we have thought of some nuances to enhance recognition. The first step for this was to award this year’s recognition to nine women who have served as leaders in roles or fields of action and have been determinants for the transformation of the marketing, advertising and communications sector. The second was to open spaces to let us know their vision, their way of thinking and their achievements. The Women to Watch 2019 talks about digital transformation; of business intelligence and research; of a new era of marketing, characterized by trends in responsible consumption and brands that have a purpose; but they also realize the importance of trusting goals, working for them and how today’s leadership tends to work as a team, trust and balance between family, professional and personal projects. On the other hand, and as a third aspect, this year P & M will organize Women to Watch Summit, an event that goes beyond a recognition ceremony, to become an encounter for female inspiration. An academic summit attended by a select group of female lecturers, who have been previously recognized with this distinction, who will share the ideas and experiences with those who left and are leaving a feminine footprint in the sector. She is a psychologist by profession. She believed that the best way to pursue her career was as a therapist, but life took her through the areas of market research and planning. In 2018 she was appointed planning director of MullenLowe SSP3 and since October of that same year she directs the planning of the entire MullenLowe group. His supervisor of practices in market research was Juan Luis Isaza, who was then VP of strategic planning for DDB Colombia. Once he finished his practice, he worked as a freelance market researcher at DDB and then, Isaza asked him to stay as a planner at the agency . After that, she worked in a makeup company and, later on, a former member of DDB started her own agency and invited her to work with him. Then he arrived in MullenLowe, where he has been around for seven years. For Carolina, being Women to Watch is an important recognition. She is excited but says that she tries to give value to her achievements and acknowledgments without crossing the ego line. “I feel that women in this industry have a path that is not always easy, so it is very valuable to have this recognition. It fills me with pride to feel that they see me as a woman to follow, “she says. He says he has “the best husband in the world.” He deeply admires his mother and his sister. “For me, the options of not working or not pursuing my dreams were never,” he concludes.